Leased January thru April 2020. Play golf at Indian Ridge as a seasonal member. 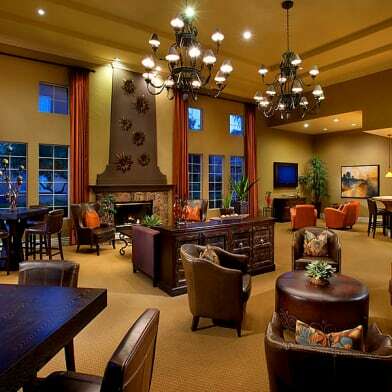 Tenant can upgrade the owners club membership to full club or golf. South facing popular 3 BR 3.5 BA Acacia 4 floor plan featuring living room with fireplace, spacious dining room & gourmet kitchen with eating area. Enjoy panoramic views of the Santa Rosa Mts. & golf course from the patio , kitchen & main living area. Upgraded with plantation shutters in the bedrooms & kitchen,extensive use of ceramic tile in the entry, hallway, kitchen & dining room, custom & faux painted accent walls. One bedroom is setup with a built-in office area & queen sofa bed The master bath has a separate tub and shower with a huge walk-in closet & king bed. 2nd guest bedroom as 2 twin beds. Located on a quiet interior street with the community pool and spa across the street. Offered turnkey furnished. Have a question for 461 Desert Holly Drive?